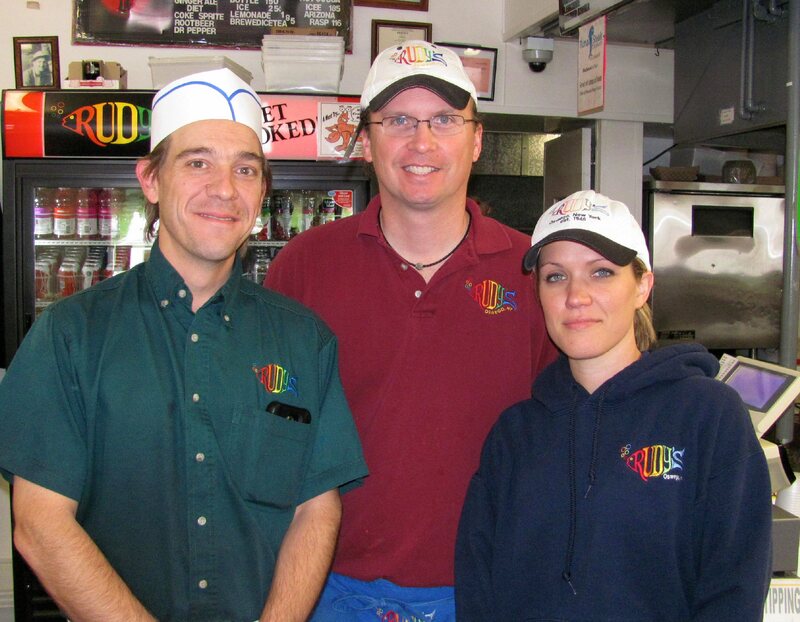 Jason Livesey (left), owner of Rudy’s, and long-time servers, Doug Appleman (22 years), and Samantha Dowd (13 years), will soon be back behind the counter to cook and serve all the favorite sea foods at Rudy’s Lakeside Drive-in. They will provide the Salvation Army Guest Chef Dinner for the tenth consecutive year on March 13. 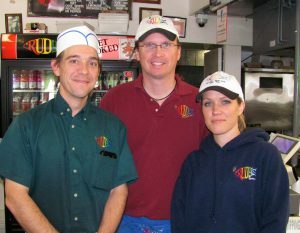 OSWEGO – Rudy’s Lakeside Drive-in will launch this year’s Oswego County Salvation Army’s Guest Chef Dinners with a sampling of its favorite foods on March 13, with dining room and takeout service from 4:30 to 6:30 p.m. The meal will include some of Rudy’s popular sea foods and summer fare, including clams, fish, coleslaw, and tossed salad, along with desserts and beverages provided by members of the advisory board. There will be two menu choices: fish sandwich or Texas hot. All meals will include fried clams, coleslaw or macaroni salad, tossed salad, and assorted desserts. The dinner will be at the Salvation Army Center for Worship and Service, 73 W. Second St.
Students of the Mexico Academy and Central School Junior ROTC led by Captain Cody Myers and under the command of Lt. Col. John Freda, will return for the fourth year to serve dining room guests. The purpose of Marine Corps Junior ROTC is to instruct students in leadership and military history and prepare them to lead other students through conduct of drill and uniform inspections. Future Guest Chef Dinners this year will be provided through the generosity of the American Foundry on April 25, Vona’s Restaurant on June 13, Zonta Club of Oswego on September 12, the Press Box on October 17, and Canale’s Restaurant on November 14. Rudy’s Lakeside Restaurant will open for the season on March 15. The Guest Chef Dinners are organized by the advisory board and offered to the community to raise funds for fresh-cooked meals in both Fulton and Oswego and other services that are provided to individuals and families in need throughout Oswego County.